If you’re a person of colour like me, you know the struggle. While we don’t have to worry too much about burning under the sun, we do have to worry about sagging. Yeah yeah…black don’t crack…but it most certainly can sag down to your knees if you don’t take care of that skin. A lot of us don’t see the need for sunscreen as wrinkles aren’t really a concern throughout our 20s to 40s. Regular use of sunscreen though not only wards off sagging, it minimizes hyperpigmentation, blemishes and uneven skin tone. As I turned 24 for the 100th time back in December, I was reminded that I was blessed to have this much melanin keeping me looking young. And I really want to stay looking that way. For years, I have been on the quest to find the perfect sunscreen to no avail. Actually, I did find a great one but paying $135 several times a summer is way too rich for my blood. Most sunscreens make dark skin tones look bluish, greyish or worse…ashy. I have to admit, I gave up on finding the perfect one for me. In swoops Mary Kay though with a rock solid sunscreen that I’ve quickly become addicted to. 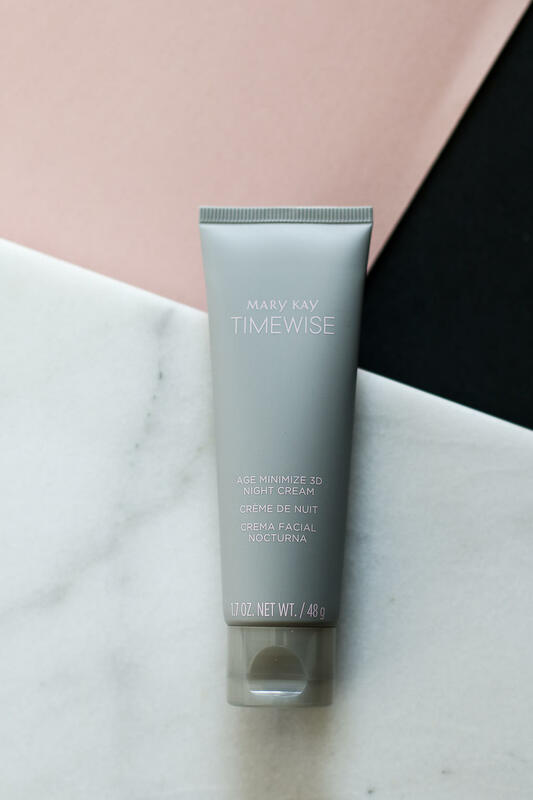 In fact, Mary Kay’s new Timewise Miracle Set 3D is fantastic all around, but let me start this review with her stellar sunscreen which is great for all skintones, from alabaster to dark chocolate. And Mary Kay – a huge thank you for finally offering online shopping for us Canadians! When I received my sample of this day cream, I held my breath and applied some to the back of my hand. I was expecting it to turn bluish-purple but it melted into my skin beautifully leaving a healthy, dewy glow. Giddy up. The next morning, I washed my face with the Mary Kay Age Minimize 3D 4-In-1 Cleanser (so good!) and applied a little of the Day Cream to my face. It left me looking healthy and dewy. Its fresh scent is great and my makeup applied perfectly afterwards (sometimes sunscreen can affect the colour of your foundation). The entire line works as an antioxidant, reversing the signs of aging and protecting your skin from external stressors like pollution and dirt. 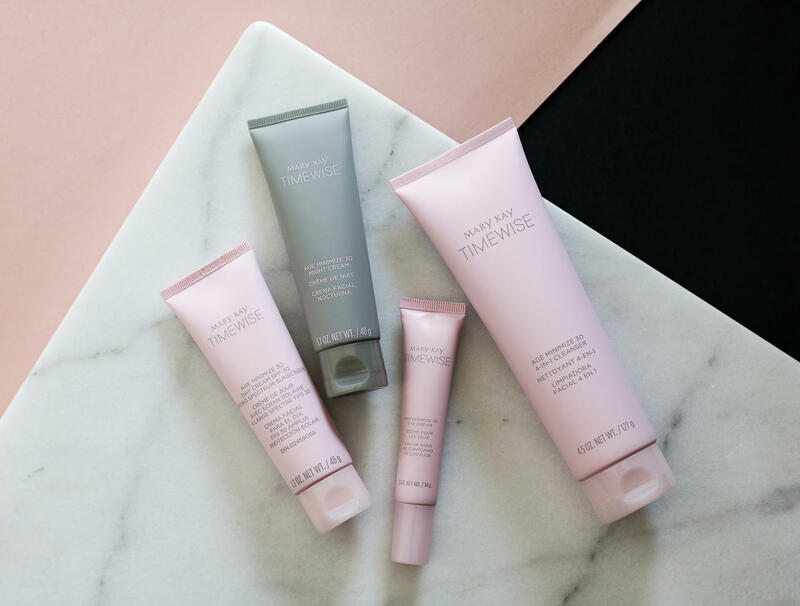 Mary Kay promises that using each product in the Timewise Miracle Set 3D will deliver an overall improvement in skin if used regularly for four weeks. With its broad spectrum UVA/UVB protection, it will eliminate sunburns if used as directed, thus further greatly slowing down the aging process. an age-defying peptide which boosts skin’s natural collagen and elastin for a more youthful look. I’m loving this Day Cream and I’m happy I’ve finally found a product that doesn’t fight my skin tone while protecting skin. And I’ll repeat – this product will not affect the look of your foundation. Bonus! 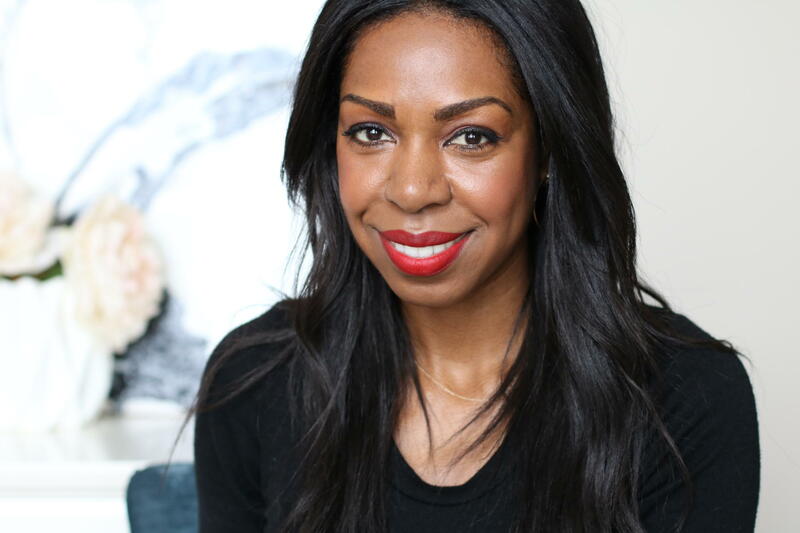 OK – I seriously LOVE this cleanser! Great cleansers that do not strip your skin leaving you feeling dry and flaky make me really happy! This cleanser is no slouch, removing your makeup effectively too. I was sent the normal to dry skin formulation that worried me a little. Usually, these formulations are a little heavy for my skin, but this worked well. Not only did it remove all of my makeup, this cleanser is also an exfoliant. It gently exfoliated my skin leaving it soft and bright-looking. 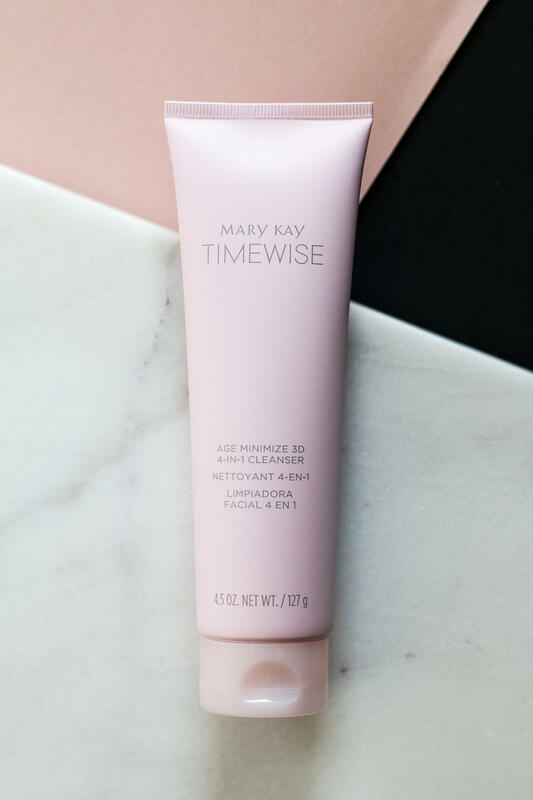 This cleanser (along with everything in the Mary Kay Timewise Miracle Set 3D) is dermatologist-tested, will not irritate your skin, is non-allergenic, non-comedogenic, great for sensitive skin and is oil-free. For the last few months, I have been using a great oil-based eye cream but it was a little too greasy for the summer weather. I also noticed that I really couldn’t use it underneath concealer (it would travel and the concealer would disappear by lunchtime). 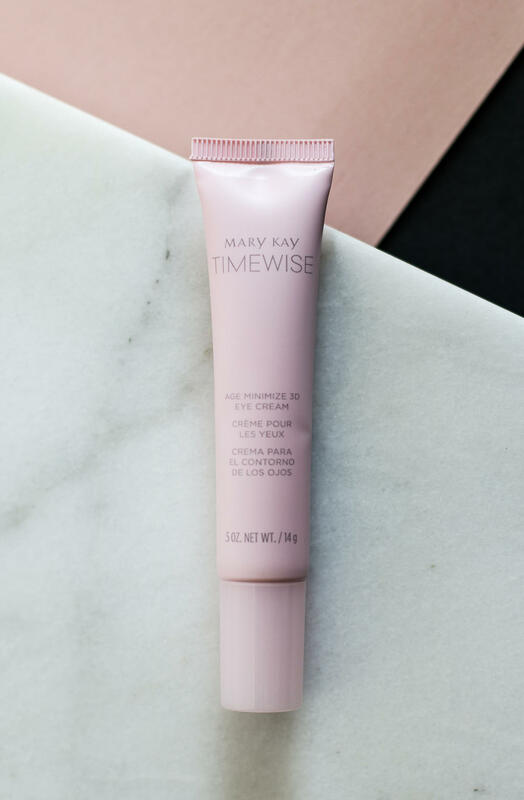 Mary Kay Age Minimize 3D Eye Cream is pretty perfect. The light, creamy formula is a dream to apply. It absorbs into skin quickly leaving your eye area looking hydrated for up to 12 hours, plumping up fine lines and brightening the eye area’s delicate skin. As this light eye cream absorbs quickly, eye makeup is easy to apply right afterwards. The skin around my eyes definitely looked dewy and glowy. I store my eye creams in the fridge to boost “puffiness reduction”. This chilled cream worked like a charm, especially the morning after a good friend’s birthday party. Too much champagne…tooo much champagne!! Pro Tip: dab your eye creams onto your orbital bone lightly with your ring finger for best results! I really really like this night cream!!! This is one of the only night creams I have used that didn’t feel like smearing butter onto my face! Now, I have very oily skin so I don’t bother too much with night creams, but there were a few months during our interminable winter where I could have really used one. The combination of Pluto-like weather and indoor heating made my face feel like it was going to crack. I wish I had the Mary Kay Age Minimize 3D Night Cream during those chilly months. The glory of this Night Cream is that while it is on the lighter side, it hydrates so well! A little goes a long way too in moisturizing skin to the fullest. This soothing Night Cream works away to restore skin while you sleep. The first night I used it, my skin was super soft the following morning. It works to soften expression lines (don’t get rid of them completely – they show character), firm skin and boost your glow. 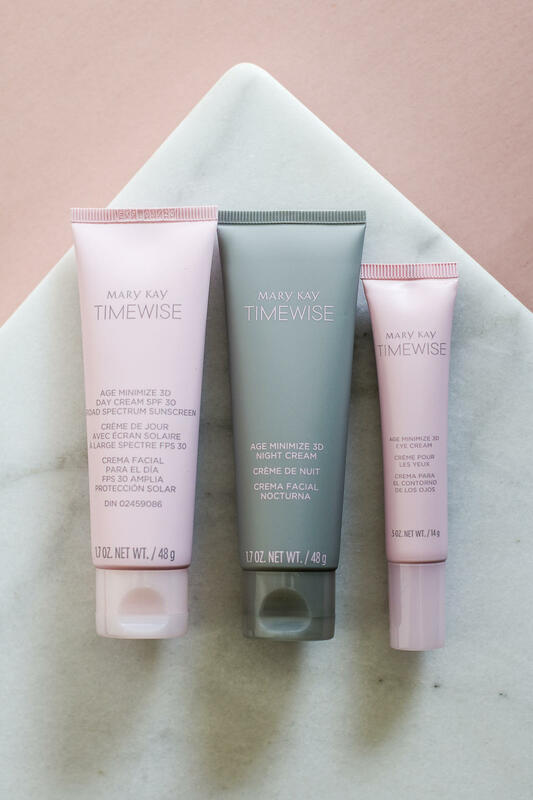 As today yesterday was the official start of summer, I highly recommend the Mary Kay Timewise Miracle 3D Set! All four products work together to offer you healthy, glowing skin while protecting you from damage caused by the sun’s UVA/UVB rays. 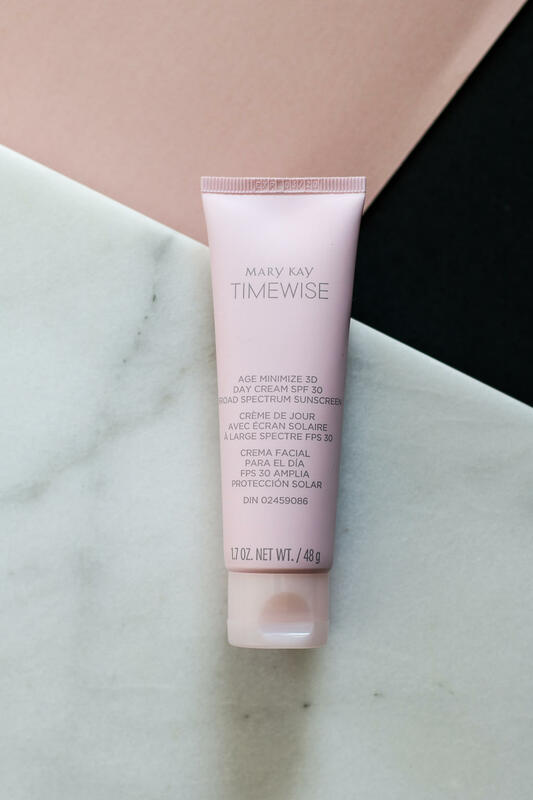 A huge bravo to Mary Kay for offering up a sunscreen that all of us can use. Thank you! *Very thankful to partner up with Mary Kay again to provide all of you with an honest and thorough beauty review. Cheryl – I promise you, I’m totally impressed by Mary Kay. The products are pretty darn good lately and this sunscreen (and all the other goodies) are stellar!